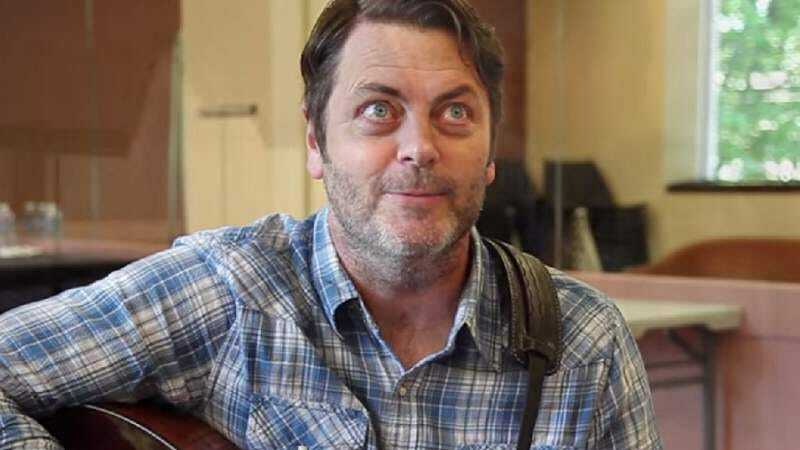 Whether he’s singing a musical ode to whisky, pondering the world’s mysteries in his distinctive baritone, or making the case for mustaches on Parks And Recreation, Nick Offerman is practiced at bringing light and love into our world. In this new video Offerman filmed for charity MyMusicRx, he may have outdone himself. He sings a self-penned tuned entitled “The Rainbow Song” he originally wrote as a present to wife Megan Mullally for her 50th birthday. It’s a little too lyrically eclectic to effectively summarize, but suffice it to say that it includes an extended metaphor comparing marriage to prison that somehow comes off as flattering.